Sports play a huge role in life here in Rosary College especially seeing as we boast such a diverse range of sports. Rosary College encourages all students to get involved in some form of sport. Successes have been enjoyed over the years with Netball, Soccer, Basketball, Hurling, Ladies football, Camogie, Junior & Senior Hurling and Gaelic Football. This club is new to Rosary College and has started this September to promote health and fitness. Every six weeks the activities will change and will range from handball, netball, tennis, badminton and basketball. All welcome! Dance Club was established last year prior to the Musical evening. Students involved practised a variety of routines ranging from modern dance to traditional Irish dancing. 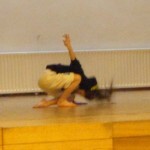 Students then performed their dances in front of the entire school community at the musical evening. Congratulations to all involved. We look forward to this year’s performances. 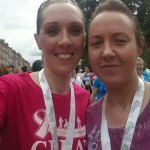 In May a number of teachers and students took part in the 10km Ladies Mini Marathon. They all had a great day and look forward to participating next year again. Last year a 6th year Student, Jennifer Kiernan, was chosen to participate in a training session programme with professional coaches from the National Athletics Development Agency across a range of sports. Representing Rosary College, Jennifer won further training sessions in UCD. She did the school very proud. Well done Jennifer! Click here to see our Sports Gallery.